SFW082F Digital Fire/Water Safe is rated 4.0 out of 5 by 6. 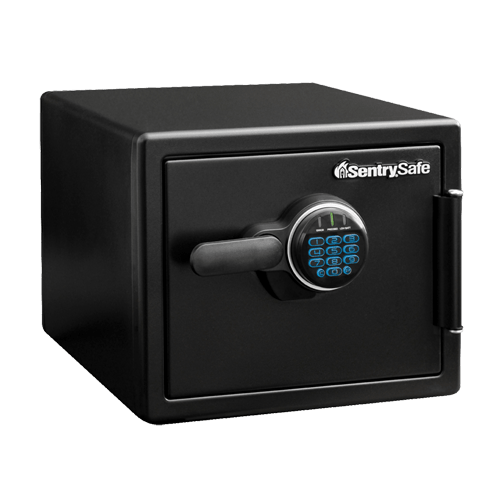 The SentrySafe Digital Water and Fireproof Safe SFW082F provides powerful protection for your home or office security needs. 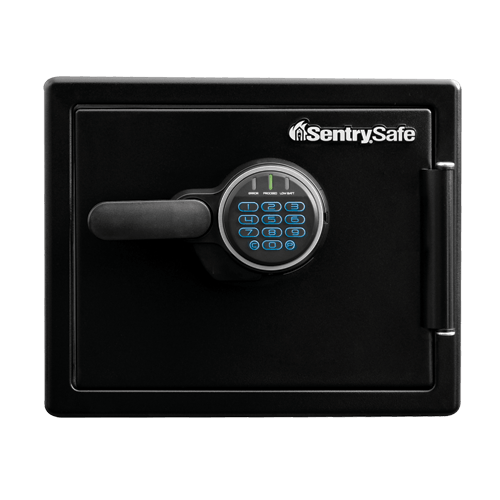 With unique security features that protect against forced entry and UL Classified fire protection and ETL Verified water protection, this safe offers true peace-of-mind. 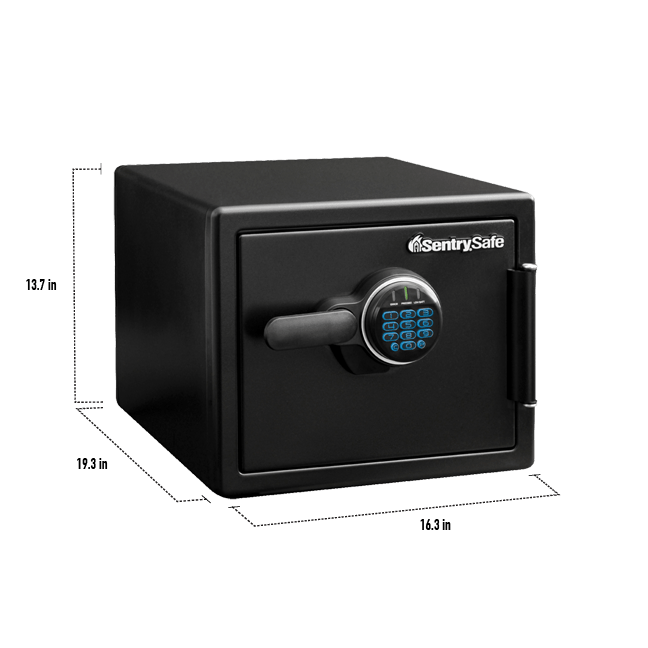 Rated 3 out of 5 by GoKingBee from Safe is fine The safe appears to be solidly built. I find it a bit challenging to open. Have to try more than once sometimes. I also feel for the price the unit should have come with shelves and/or dividers - instead of charging for them. Although it turns out my safe did not come with anchoring hardware, I was surprised to learn from reading the manual that the safe will no longer be water proof once the plastic interior has been pierced. 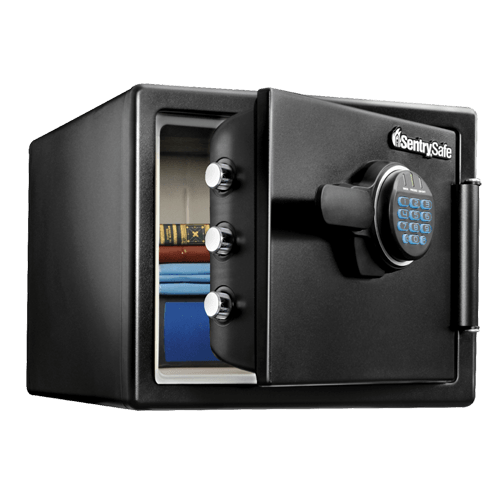 Rated 3 out of 5 by BNan from Beware What Your Putting In Your Safe Sentrysafe should better advertise the fact they dont recommend storing guns, papers, and photos in the safe. Clearly I should have researched better, but the above items I consider to be standard-issue things you would put in a safe. Now I have a 75# box to store gold and silver in. The only thing I'm missing is the gold and silver. Rated 3 out of 5 by Clyde76 from NIce and Heavy Only concern is that safe factory code doesn't open the safe smooth, at to put in code too many times. But, overall a great buy for a good. safe! Rated 5 out of 5 by Safe guy from Heavy and locks well; that's a safe. It's heavy, locks well and is the size I needed, it's fine.